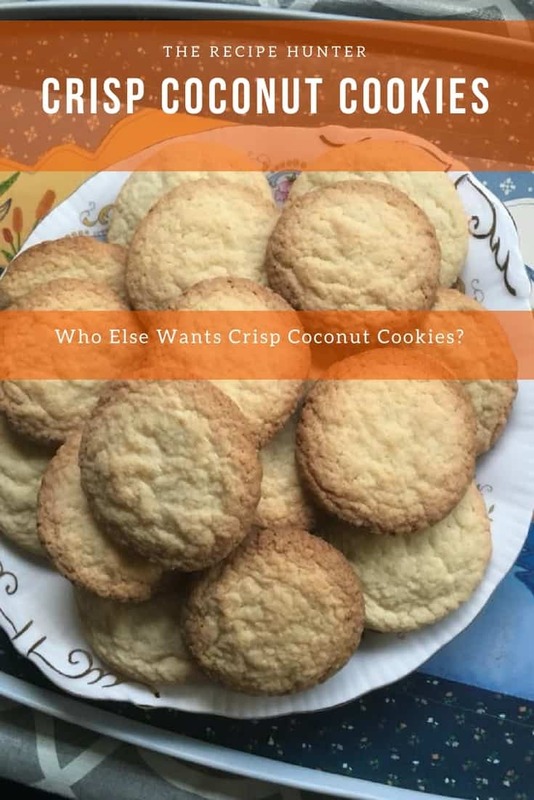 Who Else Want’s Crisp Coconut Cookies? Sift flour, salt and add to butter and sugar mixture and coconut. Shape dough into small balls and roll into castor sugar and place the side up with the castor sugar (I rolled the whole ball in the sugar and pressed flat). Bake in a preheated oven of 180C for 12-15 minutes.